For the past three years, NASCAR has challenged Switch to create an engaging fan experience that reflects the excitement of the race track, right in the middle of Las Vegas. Switch starts by moving NASCAR fans out of the stands, and putting them in the center of the action. We construct an official Fan Headquarters in the heart of The Strip, providing a central location for dynamic activations, fan interaction and more. 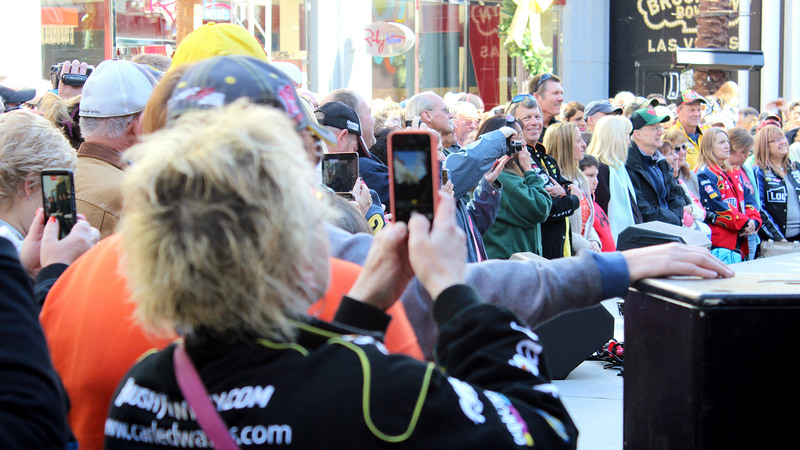 For three exciting days, this area immerses fans and passersby in NASCAR culture, including 17 race car displays, branded signage and staging, live music, driver appearances and interviews, and more. Beyond this hub of NASCAR activity, Switch produces Victory Lap. 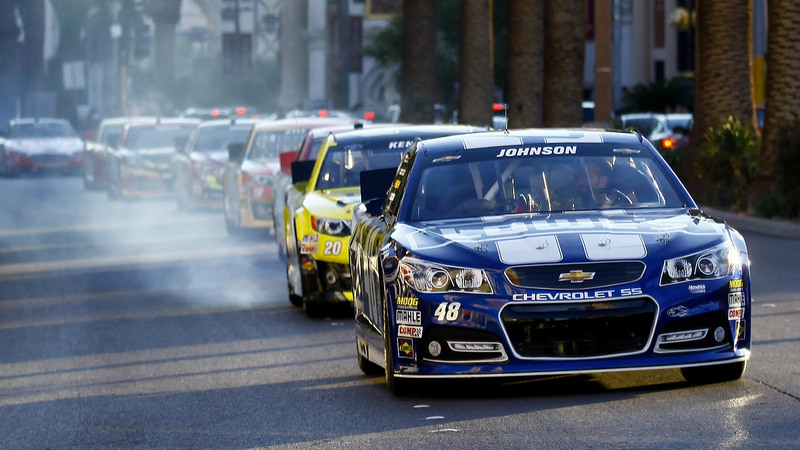 This event is a highly anticipated run of NASCAR cars up and down Las Vegas Boulevard, complete with engine revving and smoky burnouts that leave an impression on the audience, not to mention the pavement. NASCAR tapped Switch to integrate a fan sweepstakes into the NASCAR Sprint Cup Series Champion’s Week celebration, giving attendees a chance to win a trip to the 2015 Daytona 500. 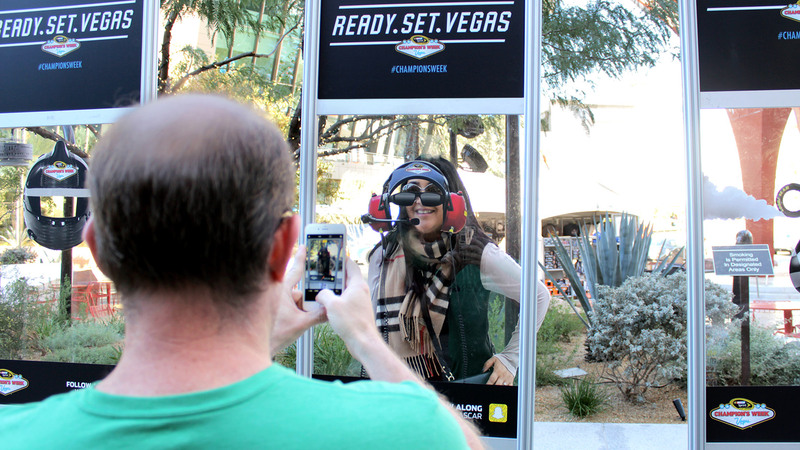 We created the Pit Pass Check-in, a social media scavenger hunt that spanned several blocks of Las Vegas Boulevard. Participants received branded Pit Pass lanyards, then checked in at various RFID-targeted locations and activations for the chance to win. The data collected through this interaction was aggregated by NASCAR and shared with partners and location hosts, providing greater opportunities for brand interaction, engagement and special offers. 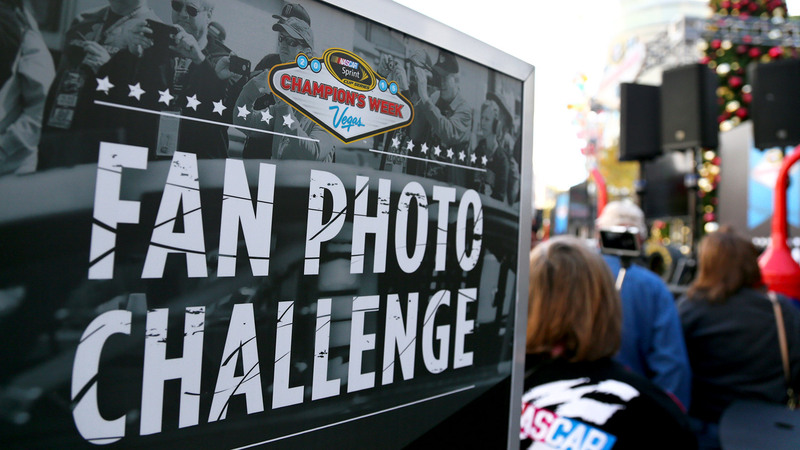 This year brought Champion’s Week attendees and fans the opportunity to put their own spin on the celebration through a social media photo hunt. 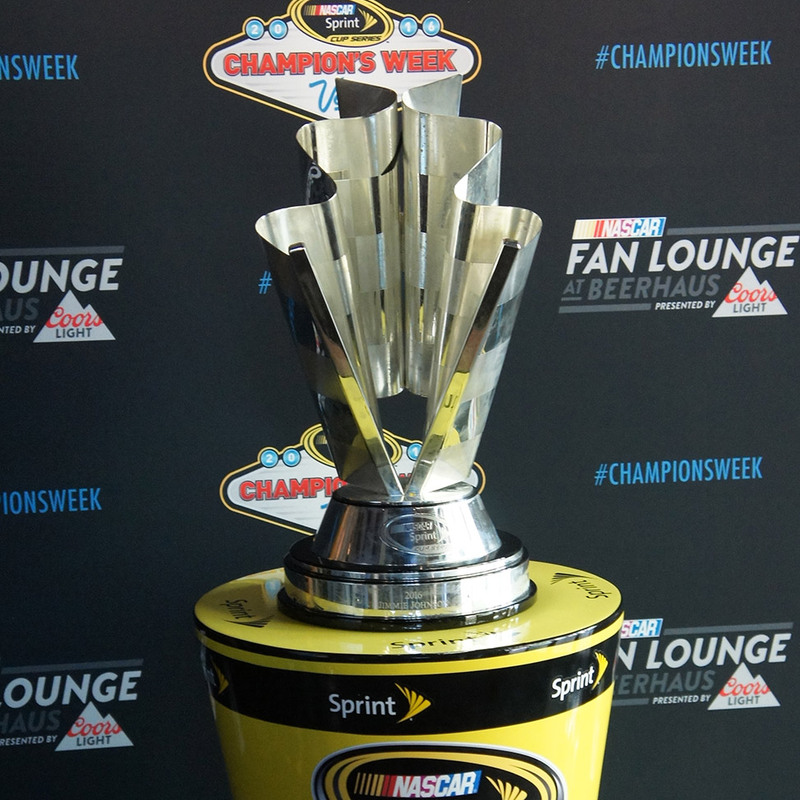 The activation gave participants a chance to win NASCAR Sprint Cup Series Awards Red Carpet tickets by posting their Champion’s Week photos to social media using designated hashtags. Using Post ActiveTM, a proprietary digital contesting tool, Switch identified entries and reached out to winners in real time. 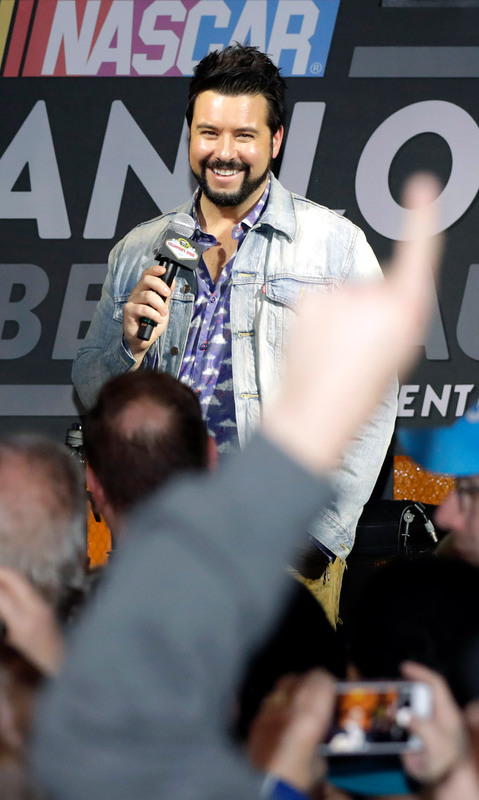 Not only did the activation provide NASCAR and its partners with fan insights, it encouraged user-generated content for NASCAR social media channels. 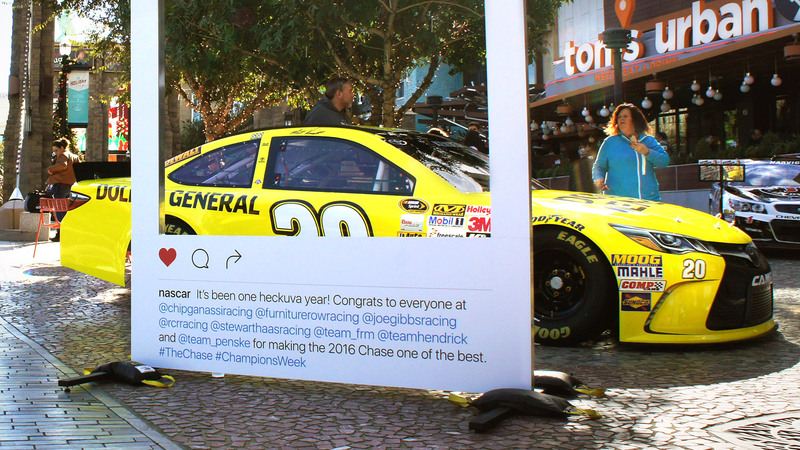 NASCAR wanted to capitalize on social media buzz and drive awareness and engagement with all of their handles, especially Instagram and Snapchat. So Switch customized fan interaction to highlight each of the brand’s channels in unique ways. 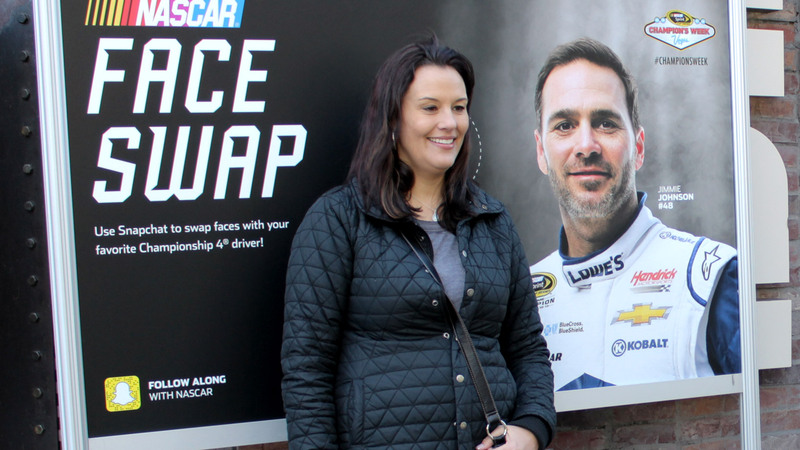 Physical Instagram frames highlighted recommended content capture at Fan Headquarters while Snapchat face-swap banners and real-world lenses gave fans an approachable opportunity to have fun with the NASCAR brand. 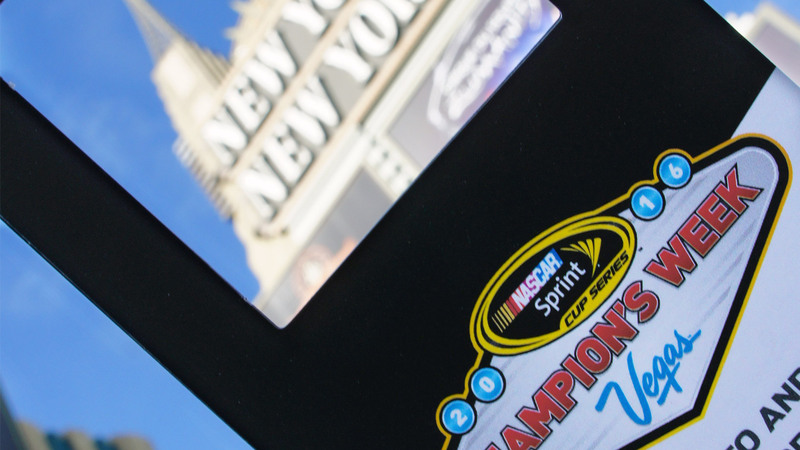 What’s more, we used surprise and delight tactics to reward engaged Twitter users, and we posted unique content and live video streaming to share Champion’s Week events with NASCAR’s 4.6 million Facebook fans. An experience that makes everyone feel like a champion.